When Brendan and I lived in New York City, we looked at maps in a very certain way - a way that showed us how to travel underground, inside of boxed cars, on a rail that led you to a specific location with little regard for neither timeliness nor cleanliness. We noted where these subterranean vehicles would stop by their alphabetical appointments and also how far from our desired destination they would abandon us. The clock would always be ahead of us, and our destinations would always have a delineated purpose. We had read about the food festival with the truffle fries in the waffle cone or the dentist’s office-turned barbershop-turned speakeasy. There was rarely aimless exploration or adventuring off the path of the train line. But now, after having driven 15,000 miles across and around the longitude and latitude of the United States, we have a far different approach to maps and how we look at them. We are now drawn to the green and blue areas, the open spaces and open waters (now no longer perceived as parks and duck ponds). Our eyes dart to the places with few roads and fewer manmade distractions. We had both been to Rhode Island many times, fairly familiar with its lighthouses and oyster bars, but not familiar enough with its secret spots and peaceful places. Driving along the coast from Watch Hill, we stumbled upon a small fire district called Weekapaug. It boasted a few wooden sailboats bobbing at anchor in a tiny cove and a weathered bath house. We looked on the map to see a “Sand Trail” that led east between a salt pond and the roaring Atlantic Ocean. Blue on either side with green sprinkled in - our favorite colors. 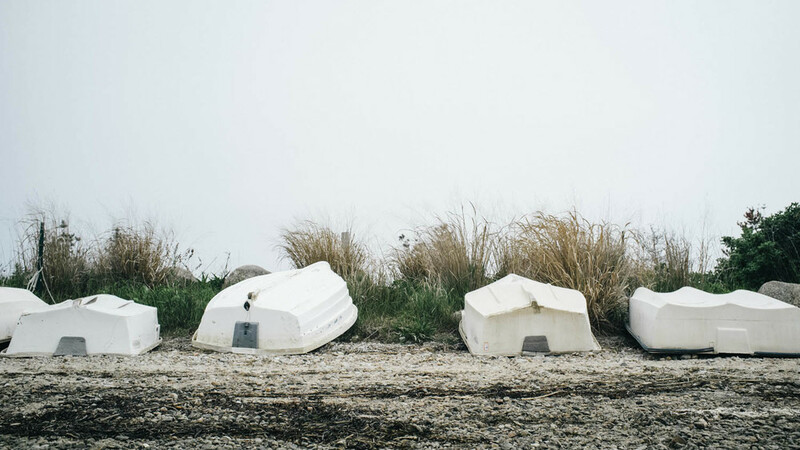 We began at the beginning, with shingled shacks and empty docks, passed rows of lonely dinghies waiting to be taken out, and finally onto the Sand Trail, which led between an odd, but beautiful surrounding of evergreens and gooseberry bushes. 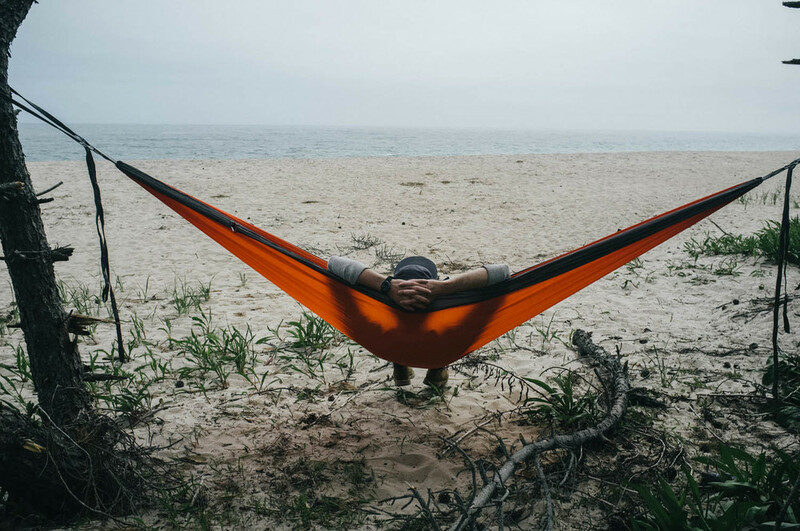 Juniper trees on a sandy beach are unusual to the area, but make excellent posts to hang a hammock. It was an afternoon of coffee, swinging our feet, and working our leg muscles with a trek through the sand. We find that these quiet moments, where you can only hear the wind and the waves, are where we gather our thoughts and our inspiration. Even if you only get out for a moment, look at a map and find the green or the blue, or even a place you’ve never been and see where it takes you. It might just surprise you. 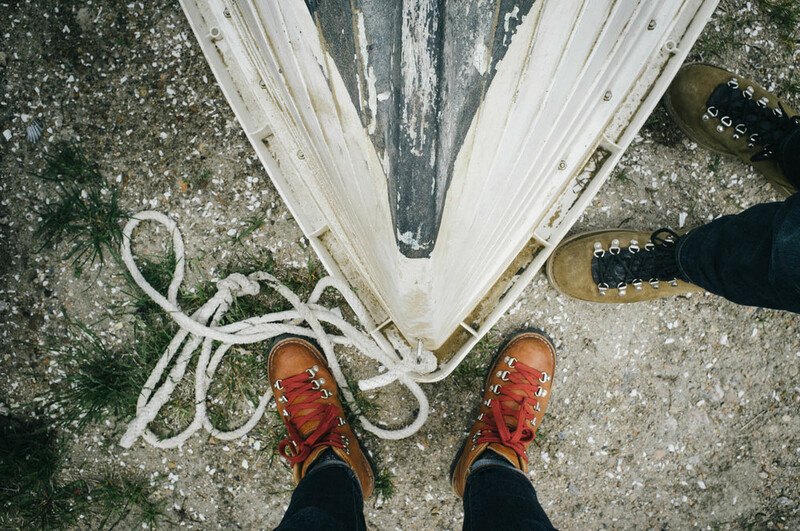 KELLY SHEA & BRENDAN BANKS of Vancrafted are content creators living and working adventurously in the Upper Right USA. 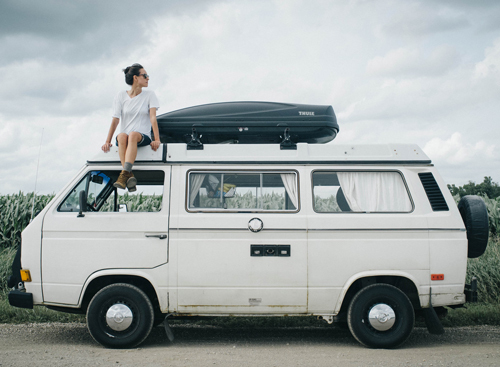 They moved out of NYC in 2014, traveling 15,000 miles cross country in a 1984 Westy.